Event planners beavering away organising trade shows, consumer fairs, conferences and festivals need support from a good design agency to create a strong event brand at the very beginning of the event marketing cycle. In this blog we share how me&you creates a striking event brand. ...funnily enough, we know one of those! A stunning visual identity for the event will demonstrate your professionalism, create a buzz for your event and make it stand out from other similar shows, conferences and festivals. A low quality visual identity for the event is a risky business! Having the Chief Executive’s nephew, who does oil painting for a hobby, design your event marketing is a false economy. Instead, you must communicate that your event is worth spending money on. Your trade show or conference must look bold, current, important and intriguing - and this can only be achieved through branding by an expert creative team. We find out about your target audience and create a name for the event that will appeal to those people. Just because this event has always been called ‘The Dull Conference for People Working in Marketing’ doesn’t mean it should be next year! Call it ‘Marketing Week Live’ instead. The new name could be the refreshing change that everyone responds to. Accountants have reinforced their reputation for radical foresight by renaming their accountancy exhibition ‘Accountex’. It’s instantly 10% cooler! Give your event authority - the name can suggest that it’s THE event for your industry or region. Make it snappy and dynamic. Easy to remember and easy to spell will be effective. For consumer events, such as a music or food festival, we’ll explore ideas for a truly original name and this will give real personality to all of the event marketing. We love the event names Camp Bestival, Creamfields and Latitude. Social media will be pivotal within your event marketing. Alongside the event name, we’ll nail a short hashtag right at the start of your event planning. Then you can share it far and wide well in advance of the big day, and your lovely exhibitors, staff, sponsors and attendees will do the honours too. We’ll explore how to express your event name as a graphic mark. Our designers will experiment with typography, colour and abstract shapes to create a memorable event logo. The relationship between these elements takes great skill to get right. Here’s the brand that me&you created for the California Wine Fair event marketing. It’s fresh, it’s contemporary, it’s inviting. We created a look and feel that was attractive to both the wine trade and wine consumers. The white type on a sky-blue background screams summer and good times. Our Creative Director was inspired by retro Californian street signs, film posters and Chevrolet car number plates. The event logo should be a design that can be rolled out successfully and consistently to all event marketing channels, both online and offline. It should be ‘just the ticket’ on a huge entrance banner as well as at a diminutive size on... a ticket. 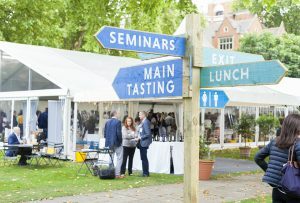 If your event is a little less glamorous than a wine fair - don’t despair! We can breathe creative life into any B2B or B2C event! Our motto at me&you design agency is that ‘there’s no such thing as a dull business’. I also like the event logo design for this software conference ‘Industry’. It’s powerful in its simplicity. 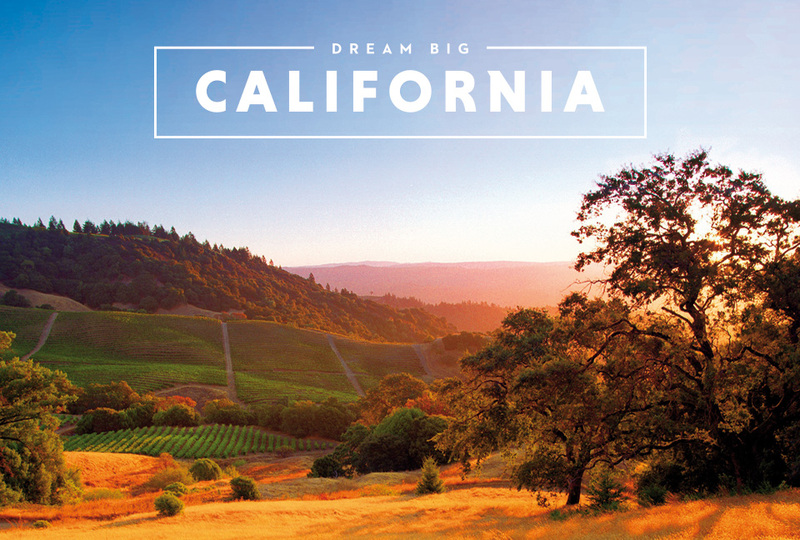 We used ‘Dream Big’ for the California Wine Fair event brand to play on the American Dream concept and the phrase’s connotations of good times and happiness. ‘UK’s biggest gaming festival’ works for Insomnia 64 because their event name is cool but ambiguous - so the strapline acts as the descriptor. Aim for balance - either the name OR the strapline should clearly describe what the event is. ‘UK’s biggest’ is a convincing proposition, and most gamers will forgive the dodgy grammar. In my opinion, the London Book Fair have made a mistake with their strapline ‘Taking words further Content across media’ as it’s double the length it should be. And whereas ‘The London Book Fair’ is a registered trademark, the old-fashioned typography does nothing to make book consumption current and upbeat. Colour carries meaning and communicates ideas. Your design agency should pick a palette of just 4 or 5 defined colours to be used everywhere in your event marketing, and this is a superb way to raise brand awareness of your event. Your audience will start to subconsciously and instantly recognise your event when they clock the colours. See how we’ve applied our colour palette to the California Wine Fair. Cyan Blue and Sky Blue are coupled with vibrant Canary Yellow in our event signage to great effect. Again, the white text communicates ‘Summer’. Your design agency should create a gallery of just 5 or 6 hero images to be rolled out to every single channel in your event marketing. These beautiful images should excite your target customer - show off your headline celebrity, intriguing venue or original event concept. Consistency will be key - events is a crowded market - and to make your event crowded, consumers will need to see your marketing several times and become familiar with it before they’re ready to purchase tickets. We rolled out the brand identity for the California Wine Fair to all of the event marketing - me&you designed the event website design, event emails and social media, event signage and exhibitor directory brochure. Our event planner clients loved seeing the marketing all come together and then how it boosted attendance and social media engagement! This blog explores just one facet of event marketing - the event brand - but if you’re an event exhibitor participating in a trade fair, conference or consumer show, we can help too. me&you design agency has strong experience in designing the brochures, leaflets, handouts and giveaways you hope will create sales leads at events. Make your marketing collateral really effective this year! Just call us for a chat.